Posted by judylobo in Baby Animals, Big Cats, Black and White Ruffed Lemurs, Mammals, Nature, Orangutan, photography, Wildlife, Zoo. We made a special trip to the Philadelphia Zoo to visit thirteen month old Baby Batu, the sweetest orangutan. We had seen this adorable baby when she was one month old and could not resist revisiting her as she begins to grow up. If you want to see these photos larger click here. Check out my photos from one year ago if you would like to see Baby Batu as an infant here. 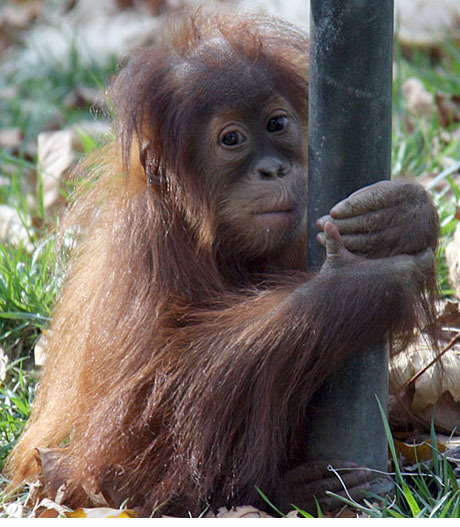 Don’t forget to watch the 44 second video of Baby Batu that I took last week directly below this week’s photo montage.